We have helped many organizations enhance their existing system by implementing a strategic planning process to remove roadblocks. To succeed in a changing environment, you need to do more than simply implement new technology- you need to align it with your core business objectives as well. 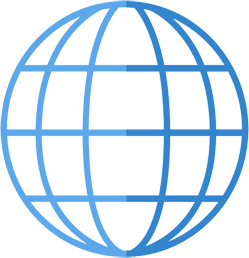 BAASS understands the need for an organization to realize the benefits of their IT investments. We have helped many organizations enhance their existing system by implementing a strategic planning process to remove roadblocks and extend their system into other functional areas to empower additional users. Our Vision-Strategy-Execution (VSE) engagement is designed to help organizations eliminate their key business issues (those that can be supported by technology) and leverage their software investment in the strategic planning process. Business requirements are the critical activities of an enterprise that must be performed by a system to meet the organizational objective(s) while remaining solution independent. The process of defining the needs of a new system should be completed early in the software selection process. It forms the baseline for research and the selection criteria of solution candidates. Basically, it's hard to hit a target that you can't see. The BRA process provides this clarity. Improve and align your business processes to achieve your organization’s mission with our Business Process Reengineering & Management Systems (BPMS) service. If your organization struggles with poor customer service or high operational costs, this service is critical before implementing an information system. 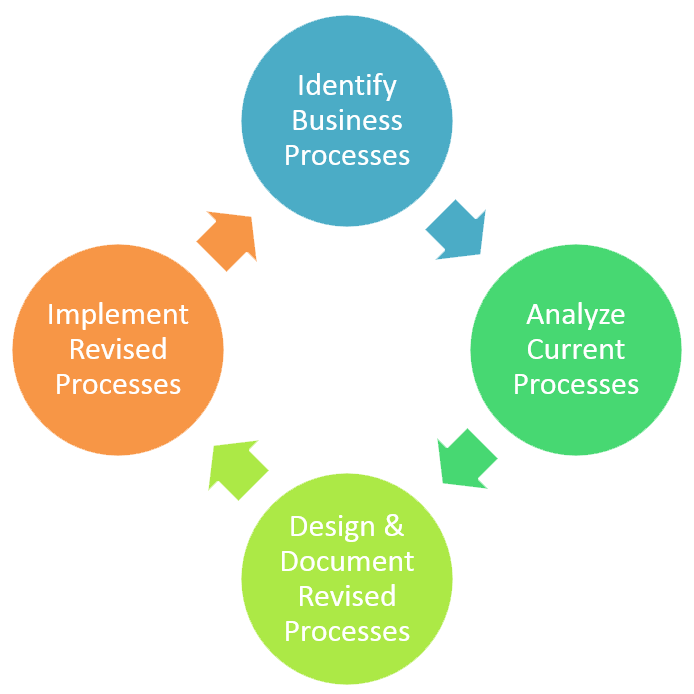 We start by identifying your current business processes then analyze the workflow and systems you have in place. Based on your current business management strategy, we will design and document a revised process aimed to help your organization fundamentally rethink how you work in order to dramatically improve customer service, cut operational costs, and achieve your mission. Once the strategy is approved, we will implement the revised processes as part of your system implementation. If you are replacing your current system with a new information solution, our Data Migration and Audit Compliance services are highly valuable. Not only will it save you time, our methodical, proven migration process is also audit compliant. We start with your current database, and using a specialized utility program perform a data transformation on your old data to work with the new system. We then migrate the converted data into the new database, test it, and delver you a new solution populated with your prior data. Clients who have utilized our Data Migration and Audit Compliance services not only save hours of data re-entry time, but they get accurate and audit compliant data and a ready to use system. If you are implementing a new ERP, CRM, HR, or custom solution, our User Acceptance Testing (UAT) service is for you. It’s designed to test your new solution to make sure it meets your business requirements ahead of time. Once we thoroughly understand your requirements, we create a User Acceptance Testing plan including test scenarios. We create the cases with test data, then let users test that the system is meeting your objectives. The UAT service ensures that your solution works for your needs, saving frustration, money and time after the implementation. Clients who have used this service and identified issues before the implementation are able to correct the problems and receive a revised business process documentation library. With any project implementation, our Training & Systems Deployment service offers a structured approach to user training, system migration, and roll-out. Our phased plan makes a logical and smooth transition to the new solution for you and your team. After determining assumptions, dependencies and constraints, we make sure your company is operationally ready for the next steps. These start with migrating your data to the new system, then implementing a phased roll-out of the solution. Training and documentation follow which transition to support. The Training & Systems Deployment service ensures that your company and team are ready for and have a smooth, managed system migration. If you cannot afford system downtime, except for very specific scheduled intervals, our System Change Control Procedures & Policies service is a must. When your live system is the lifeline of your business, we can provide the checks and balances and procedures help you keep it that way. We will develop and train your team on a process that allows you to test all changes and revisions to ensure that the production roll-out is seamless, preventing unnecessary system down-time. Customized change control procedure documentation and templates are provided to support and control the process from start to finish. The System Change Control Procedures & Policies service ensures that your team has the process and systems in place to manage downtime for the anticipated timeframe. Not every client needs this service, but those that do and have utilized it, can’t imagine operating without it. If you are performing duplicate data entry due to multiple information systems, our Systems Integration service offers a streamlined solution. We offer a custom systems interface that is guaranteed to work without causing any data integrity or audit issues. Following best practices, we conduct sessions to gather information on both systems, review all the information requirements, and recommend an interface to eliminate duplicate manual entry while keeping the systems in synch. Once built, your team is trained by an experienced systems integrator on how to remain compliant with audit requirements to ensure you have a true single system of record. When it’s time to consider new business software, our Software Selection Process service will ensure that the best solution is chosen based on your requirements, and that those requirements are accurately identified. We do this by holding workshops with all stakeholders in the new software. 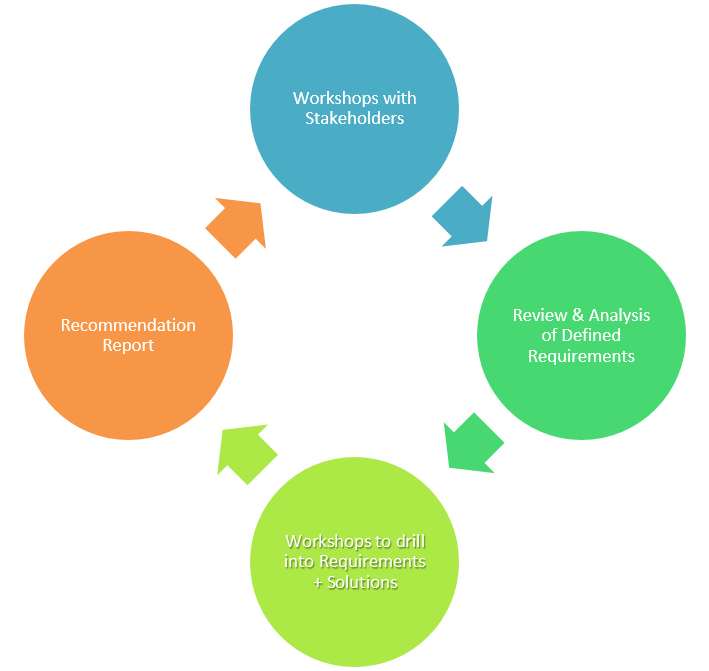 We then review and analyze the information to define your requirements. We then drill down into those with additional workshops to refine your requirements. The Software Selection Process allows us to identify and recommend a short list of solutions and/or systems that best match your needs from an operational and budgetary standpoint. Our clients who use this service and implement one of the recommended solutions have the smoothest transitions and highest satisfaction with their new software. 3. How to make the right choice? Our consultants possess the right skill sets to get your business where it needs to be. With an experienced team of IT and business application and design consultants, our focus is on helping you design, build, test, deploy and maintain technology solutions that work for you. Talk to us about finding ways to make your organization more efficient. Our team’s collective experience will ensure that we find the best fit for you.